Every day, liberal news outlets bombard the nation’s citizens with stories of gun violence and the call for gun control. The gun control debate has risen to a fever pitch since the mass shooting at a Florida high school last month, with the mainstream media keeping the story in the headlines – not for the sake of remembering the victims but to keep anti-gun propaganda at the forefront. Recently, another life-threatening incident occurred at a U.S. high school, but this time, there was little media coverage because the potential danger could not be used to the left’s advantage. 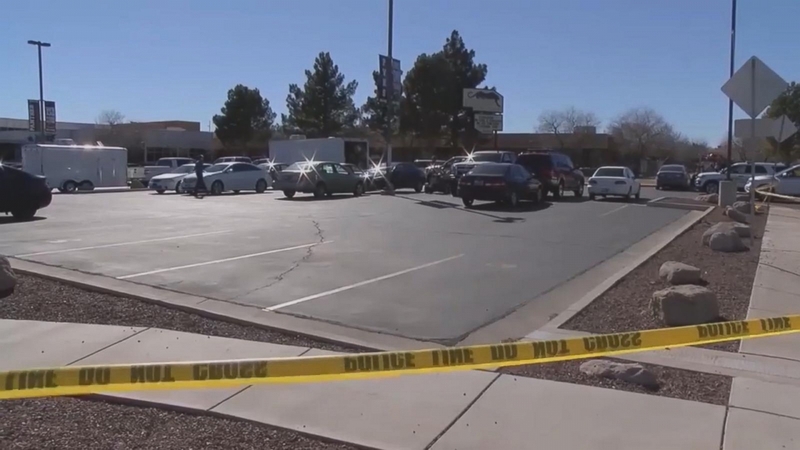 A teenage student at Pine View High School in St. George, Utah has been charged with the manufacture, possession, sale, or use of a weapon of mass destruction. Didn’t hear much about this potential tragedy? That’s because it involved a homemade bomb — not a gun — and the liberal media saw no benefit to their agenda to heavily report the story. The backpack at Pine View High School was found by a student who reported to a teacher that smoke was coming out of it shortly after noon Monday, said [the] St. George Police Captain. It is extremely fortunate the potential attack was averted, thanks to the quick thinking of another student who saw the abandoned backpack in the hallway and alerted school administration. While all procedures and protocols were followed in this case, and law enforcement responded quickly to the serious threat, the bomb – and the dark motives behind the suspect’s plan – could have caused unimaginable carnage. In the aftermath of the Parkland, Florida shooting, media coverage reported heavily on keeping our students safe – primarily focusing on disarming law-abiding citizens and banning guns altogether. Yet, in the case of the foiled bombing attempt in Utah, there has been little to no follow-up with students or teachers, no information on the suspect’s background or whether a local threat from someone involved in ISIS exists — in fact, news reports that do exist are brief and short on details. Authorities said additional charges also are pending against the teen as a suspect in the raising of the Islamic State group’s flag on a pole at another Utah high school last month just after the Florida mass school shooting that was followed by numerous other threats to schools around the U.S.
Police in the city of Hurricane about a half-hour drive from St. George said Tuesday the teen who was arrested is also suspected of raising an Islamic State group flag in February at Hurricane High School. That happened on Feb. 15, a day after a mass shooting at a school in Florida. Authorities initially thought the graffiti and flag at the school were pranks. The teen who was arrested was attending class at the school and items were seized from his home “that were consistent with the material used to build the device placed at Pine View,” St. George police said. “When the search warrant was executed, there was evidence taken from the house that tied him to our case,” he told The Associated Press Tuesday afternoon. In the case at Hurricane High School, the U.S. flag was found on the ground and slashed with a flag with Arabic letters waving from the flagpole. Although the plot was foiled and no one was hurt, one would certainly think there would be more coverage on such a dangerous threat to our high school students. It is obvious where the liberal media wants to focus their attention – and that of the nation. Their priority continues to be waging war on the Second Amendment, giving negative press to any and all stories involving firearms, and refusing to see any solution but theirs. For now, at least, one dangerous individual is being detained and the students at Pine View High School are safe. However, there is still little known about what prompted the attempted bombing or what the suspect’s interest in ISIS entailed. It is hard to believe that more is not being reported by mainstream media on this potential act of terrorism against our students. You can be certain that if a firearm was the suspect’s weapon of choice, this story would be front page news. Did you hear reports about this averted bombing attempt at a Utah high school? Do you think the liberal media would be covering the story more heavily if a firearm were involved? Leave us your thoughts in the comments.